Hello there and thank you for stopping by today. Today is the final day of the MFT Release Countdown. Only 22 hours until the new release (yay)! Be sure to head over to the MFT Blog for full set and die reveals for the day. This release is packed full of gorgeous new products. These products and many more will be available for purchase in just 22 hours, on December 6 at 10 PM EST. Be sure to check out the MFT Blog to see what the rest of the team has come up with today. Love your colour combination! No one but me seems to use orange except for fall! It's such a great colour. Sweet card. This is such a great release. What a cozy scene and snowman all decked out in his hat ant acarf! 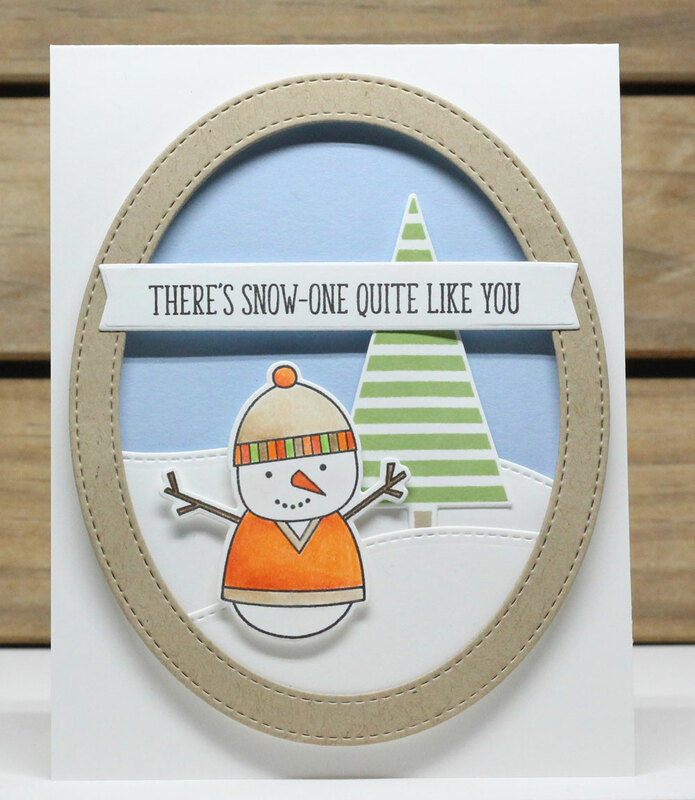 Cute card and color combo.